Fresh Mama Fitness and Health: Fresh Mama Finds and Free Group Time! Hey mamas! Nothing like the New Year to implement some change + improvement and today will be the first day of a new type of post you'll find here -"Fresh Mama Finds". Basically a weekly round-up of anything that my family is enjoying and might add value to your life. If there's one thing, I always appreciate - its tips from other moms like me! So, why not pay it forward here and talk to you guys about things that have caught my eye??? 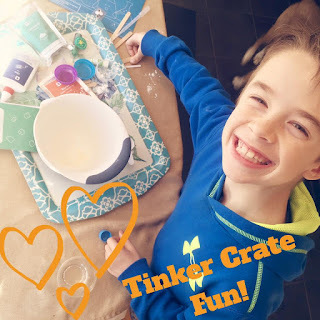 First up - Tinker Crate - a monthly subscription service for the little scientist in your life. Colin received a 3 month subscription for his birthday and it was perfect. He's curious by nature and this was right up his ally. Definitely plan on adult supervision and assistance - he's 8 and could read/follow the directions - but it would have been overwhelming if attempted on his own. Plus - it was awesome one-on-one time! Check it out! Next, let's talk meal prep! You've may have seen my some of my posts on Clean Eating Meal Prep... If there's one thing I've learned as a fitness coach, its that meal prep is pretty much a necessity for anyone with a busy lifestyle. Its the key for staying on track and my search for the perfect meal-prep container has ended (cue happy dance!!!). One of our Team CoreBalance coaches (we call her the "food prep ninja") - is a full-time working, busy, BUSY mom and truly is my food prep spirit animal, hahaha! She shared these containers in our challenge group and raved about them - seriously, awesome! Perfect for portion control, no leaking and they stack perfectly for maximizing fridge and cabinet space. Mine only arrived on Monday, but they have already been put to use packing lunches for the hub - click here for the link to order from Amazon. Taking a couple hours at the beginning of the week to set yourself (and your family) up for success - will pay off big time! I hope you find these Fresh Mama Finds helpful - you can expect one Fresh Mama Find post per week moving forward and please if you have something you would like to rave about - pop me an email lil@freshmama.net, so I can check it out! Now, let's talk FREE GROUP TIME!!! This month's free group is all about 30 minute meals - we'll let our kitchen do the work for us and spend less than 30 minutes prepping/cooking each meal (well the crockpot will help us out, too!). Not only do you get 5 days of clean eating recipes and support, but there will be prizes and a big P90X giveaway! More fun once you join the group, but make sure to sign-up below! 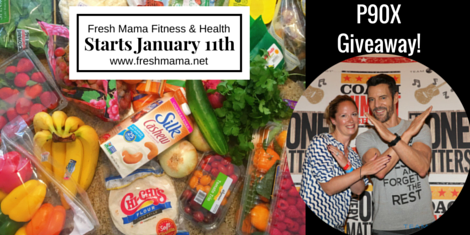 You can find the event on my Fresh Mama Fitness and Health Facebook Page - as well!